You don’t have to give up on your retirement dreams. Enjoy low-stress, low-cost living in Panama…in a perfect sun-kissed beach town, a flower-filled highland haven, the truly First World capital city, or beyond. We’ll show you exactly how to do it…in the country with the World’s Best Retiree Residence Program. 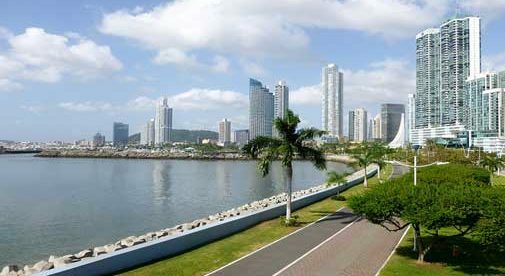 Right now, Panama is making it easier than ever before to gain residence…and a host of financial incentives sweeten the deal even further. Find out if Panama is right for you at the International Living Fast Track Panama: Lifestyle and Opportunity Conference—our only Panama event of 2020. Enjoy the tropical sun and fun in the country with the World’s Best Retirement Incentive Program. Meet the best, most knowledgeable experts on all things Panama who will show you how you, too, can live the life you’ve always dreamed of…where a couple can live on as little as $2,000 a month. Call 1-866-381-8446 (toll free in the US and Canada) or 1-410-622-3040 now to speak with our events team at Opportunity Travel in Florida. You can contact them via email at [email protected].